This brochure advertises the advantages of settling in south central and western Kansas. 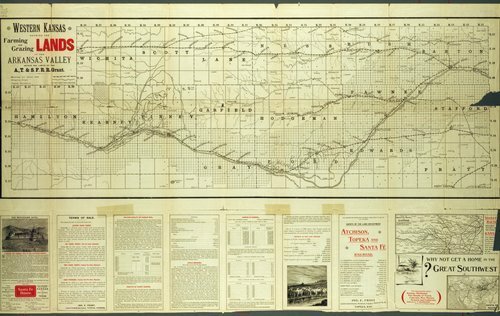 Included are a photograph of the Beeson farm near Dodge City, Kansas, and a full width map of the Arkansas Valley in Kansas. Also included are testimonials by numerous settlers and descriptions of Rush, Finney, Ford, Pawnee, Gray and Kearney Counties.